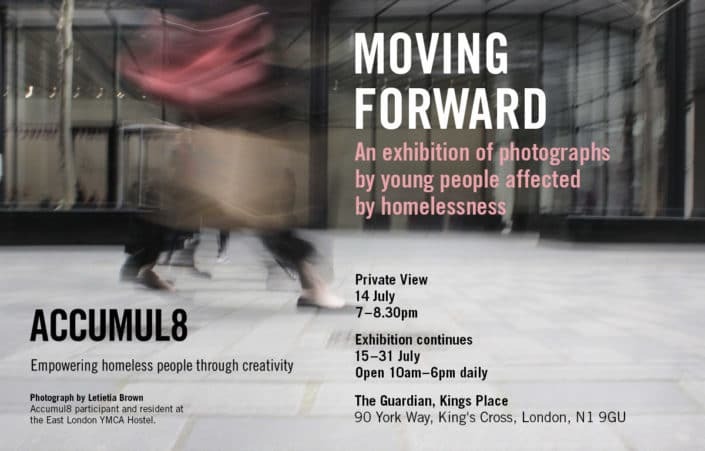 The Accumulate Youth Culture exhibition celebrates the creative achievements of a group of people, living in hostels and temporary accommodation, who participated in this year’s Accumulate creative workshops. 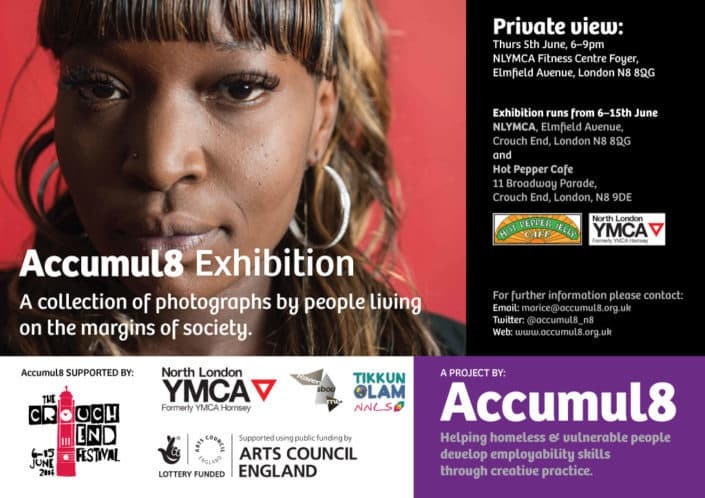 At this year’s exhibition we will be showcasing the photography, fashion, sculpture, podcasts, drawing and creative writing produced by the Accumulate participants over a course 15 creative workshops. 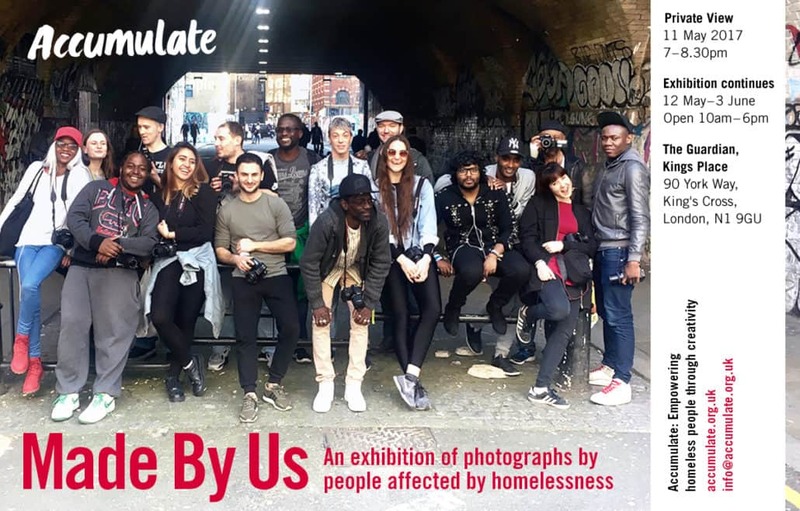 The Accumulate creative workshops enable people, affected by homelessness, to learn new skills, make friends, become part of a community and develop their creativity. Most importantly, through these experiences, the Accumulate participants’ self-confidence, wellbeing and sense of personal value increases, which helps them to become more positive and, so, make more positive decisions in their lives and for their future. 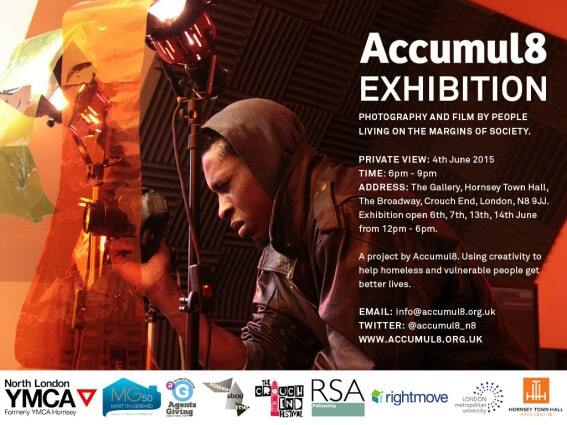 This year, Accumulate will be awarding funded scholarships to pay for three of its participants to study on the one year Access to HE Diploma course in creative and digital media at Ravensbourne University London, a specialist university for the Creative industries. 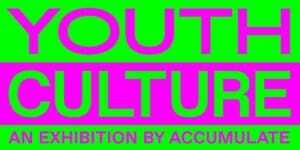 This is a life changing opportunity for those successful, but the Accumulate experience is transformative for all participants and shows how creativity and education enhances people’s lives. The Accumulate scholarships have been very generously sponsored by Ruth Keattch, Straight Forward Design and Simmons and Simmons Law Firm. 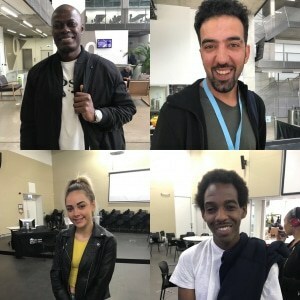 2018’s Accumulate scholarship recipients on their first day at Ravensbourne University London.